We are passionate about giving back to our community. 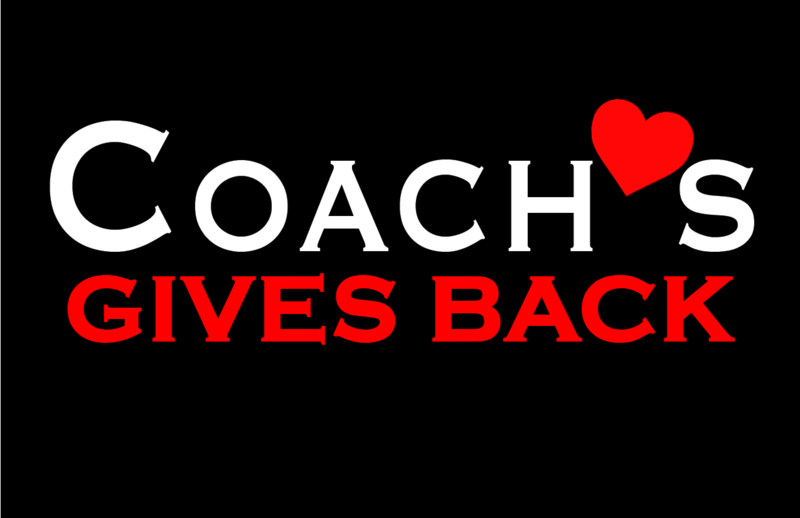 Each event is a link to the event on Facebook, where you can get the digital voucher for the give back. Present it either on paper or on your phone or tablet and we will donate 15% of your bill to that organization! 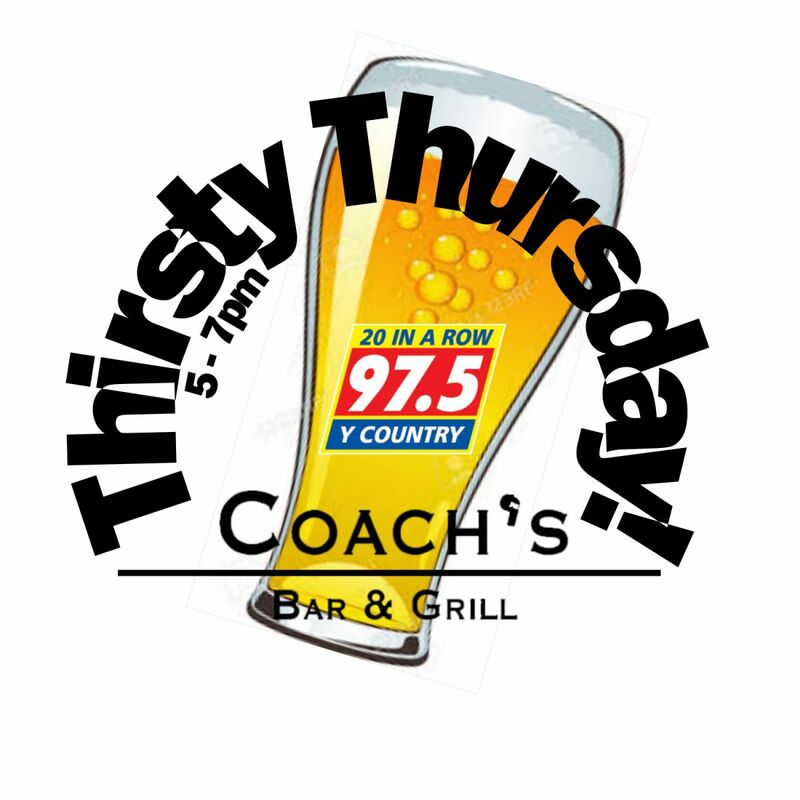 Join us & Y Country select Thursdays 5-7pm for Thirsty Thursday at Coach's! See below for scheduled dates and specials! During the four broadcasts from 5-7pm on Jan. 31st, Feb. 28th, Mar. 7th & Mar. 28th, you can sign up to qualify to win the tickets (no purchase necessary). At the end of each broadcast, we will draw 5 qualifiers. At the end of the broadcast on Mar. 28th, with all 20 qualifiers present, the winner of the tickets will be drawn in a reverse drawing - last person standing wins! Plus enjoy our $0.75 wings and $3.75 Select Mixed Drinks all day! Specials are available for dine-in only. Join the E-Club and receive a FREE order of Thundersticks!